Chance The Rapper just dropped Donnie Trumpet & The Social Experiment's long awaited album Surf out the blue. For free! Yes you read that right, the album is available to download for free on iTunes. The only downside it looks like it's only available in the US for now, I am not sure when it will be released internationally. I'm listening to the album right now and it's sounding great so far. The album is littered with special guests, I say special guests because they're not listed on the album's track names - so far I've noted Busta Rhymes, J. Cole and Jeremih. As soon as a stream is available I'll have it here for you, in the meantime you can enjoy their "Sunday Candy" video. UPDATE: You can listen and download Surf for free on the player below. 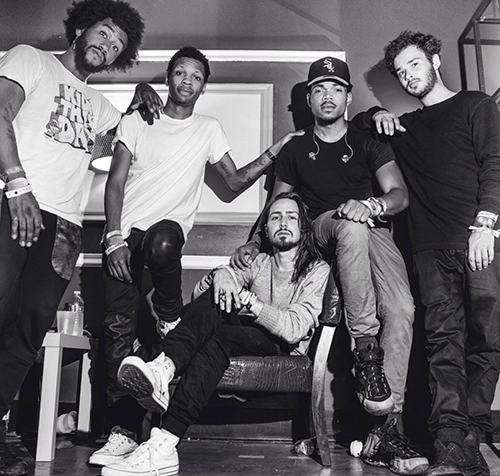 Donnie Trumpet & The Social Experiment - "Nothing Came To Me"